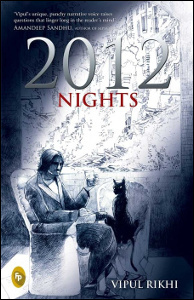 2012 Nights, by Vipul Rikhi. Delhi: Fingerprint, 2012. Provided with free review copy. My review of Vipul Rikhi’s stories 2012 Nights has just been published in Cha: An Asian Literary Journal. Here’s an excerpt, and you can read the rest here.